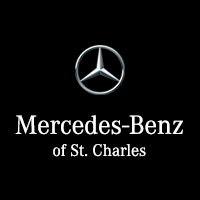 If you’re in the market for a high-performance luxury vehicle, consider visiting us at Mercedes-Benz of St. Charles. Our team of Mercedes-Benz dealers takes great pride in providing professional and friendly customer service, but that’s only one of the things that make our dealership special. Read on to learn more about us. Q: What are some of the newest models in your inventory? A: We just added several 2018 models to our selection of new Mercedes-Benz vehicles. These include the sleek Mercedes-Benz CLA 250 sedan, the rugged Mercedes-Benz GLA 250 SUV, and the luxurious Mercedes-Benz E-Class E 400. Q: What are the benefits of buying a certified pre-owned vehicle? A: Our certified pre-owned Mercedes-Benz cars receive thorough inspections of their engines, drivetrains, chassis, and other parts before going up for sale. Each one also comes with a CARFAX Vehicle History Report and two limited warranties from Mercedes-Benz. Q: What parts does your service center use? A: Our technicians prefer to use genuine Mercedes-Benz parts because they’re specifically designed and tested to work with your vehicle. Not only do these parts help your Mercedes-Benz car or SUV run smoothly and efficiently, but they’re also backed by a limited warranty. A: Bring your Mercedes-Benz car into our car service center near Aurora, IL every 6000-8000 miles to get its tires rotated. This procedure is important because it ensures that your tread wears evenly, which provides improved traction and safety. Q: Is the financing process difficult? A: The experts in our Mercedes-Benz finance department try to make the process as hassle-free as possible. You can apply for financing online prior to visiting our Mercedes-Benz dealership, and we offer a handy payment calculator app to help you plan your monthly budget. Q: What’s my trade-in worth? A: Simply plug your Mercedes-Benz car’s make, model, and year into our online tool, and we’ll tell you the True Market Value of your trade-in. Q: Are you open on the weekend? A: We’re closed on Sunday, but we’re open from 9 a.m. to 6 p.m. on Saturday for your convenience. 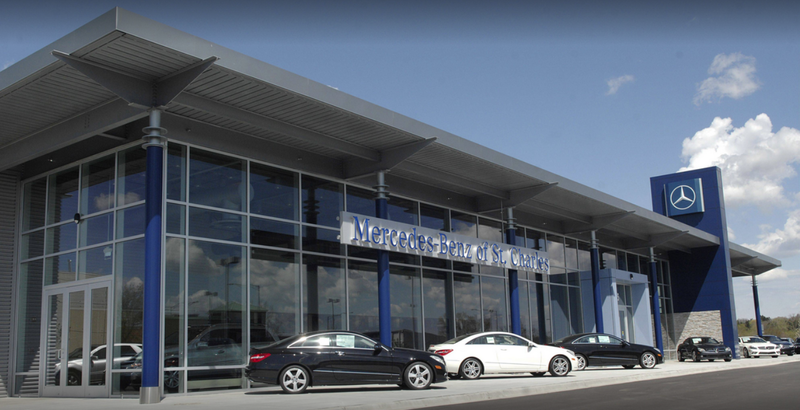 A: Our Mercedes-Benz dealership is located in St. Charles, IL, which is just a short drive from the surrounding towns of Aurora, South Elgin, and Batavia.